Pricing baked goods can be overwhelming, but knowing the real costs of your bakery items can help you get the price right. 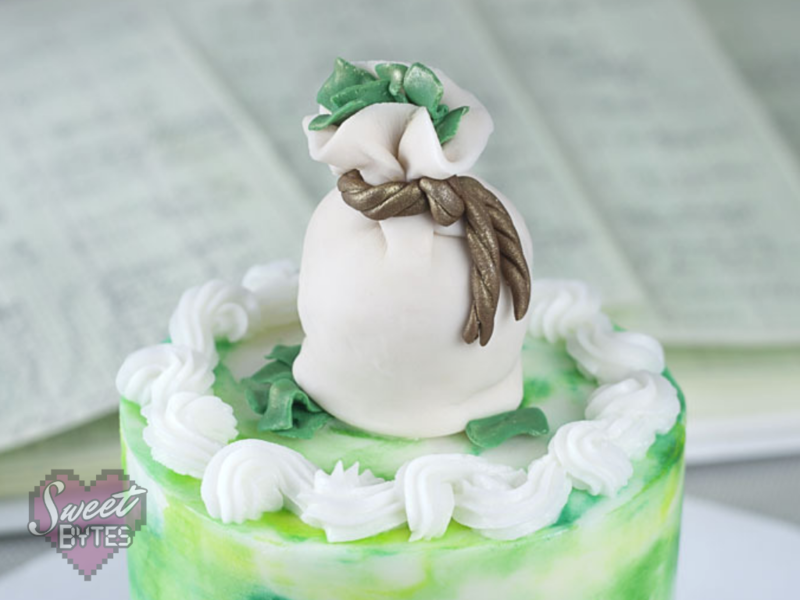 Are you struggling with pricing cakes or baked goods? Do you feel like it’s a mystery coming up with a price? I hope you will feel more confident in your bakery pricing strategies after reading this. The problem with that is it oversimplifies the process and a number of other things that get left out of that equation. So much more than ingredients go into pricing. If you are just terribly short of time and cannot figure it out right now, a stopgap can be to multiply your ingredients by 4, but if you do this, PLEASE update your prices as soon as you have time. No one else can price your products for you. No one can calculate the real costs of your bakery items but you. Another pitfall would be to ask someone else what you should charge. They just don’t know. All they can tell you is their opinion or tell you what they charge and I promise you that is not a good business model. No one can tell you what you should charge….UNLESS you give them all of your numbers and let them calculate the price based on the real costs of your bakery items, i.e., your numbers. Don’t stress, it’s only very easy math. If you are starting to feel fear or stress here, let me be a friend who’s been there before, and tell you that you aren’t afraid of math. You might be afraid of rejection, or even afraid you aren’t worth a higher price tag. Perhaps you are internally asking permission to sell to your clients. That is diminishing your value. Be honest with yourself. Are you good enough at what you do to operate as a professional? If the answer is yes, then carry on, breathe through the fear and follow the next steps so that you can get that price tag right. You need to practice and do the work to get to the level of professional. In fact, you can take classes or read books and you will get there. If you really focus, your progress will be rapid and you will be ready in no time. I do not recommend selling less than your best, I do not recommend selling cheaply until you are ready. That could hurt your future brand and reputation. Give samples, show up with dessert everywhere you go and when people start asking you regularly how much you charge, you will know it’s time. Let’s figure out the real costs of your bakery items. In order to figure out the price you have to charge, you have to know your numbers or costs. The costs include everything that you have to pay in order to make the product. If you do not cover your costs, you will be buying your customers dessert. Yikes! 1. You need to know the cost of your recipe. An amazing resource for calculating recipe costs is Cook Keep Book. It’s even FREE! Once you get your ingredients/ recipes in, your recipe costing will be so very easy! Even things like cake pop sticks and cake boards should be considered ingredients. Each item you sell will be different. Once you get all of your items entered into Cook Keep Book, it’s really easy to calculate the cost of a recipe. 2. How much labor are you using? Even if it’s your own. Track your time and start computing hours for making your items. Then you will be able to add the cost of that labor to your item. Each item you sell will be different. 3. What is the cost of your packaging? Including the cake drums, pie tins, little ribbons, stickers, and stamps, string, etc. Be methodical here, every little bit will add up over time. Each item you sell will have different packaging and have a different cost. Cookies may be $1.25 where a cake could be up to $20. A special promotion with cute packaging could be more. It’s fun to package products in adorable ways, but as business owners, we shouldn’t be paying for it out of our own pockets. 4. How much do you spend a month on consumable items like plastic wrap, Ziploc bags, foil, dish detergent, and paper towels? Use this general number and divide it by the number of items you sell in a month. $100 in consumables/ 100 items = $1.00 per item for consumables. 5. How much are your utilities and overhead? If you work from home, divide a percentage of your household bills and make that your bakery overhead. At first, you may have to estimate this number and that’s fine. After 2-3 months you should be able to get a clear idea of the bills. If you are baking a lot, you will see a rise in all of your monthly utilities. Mine wasn’t huge, but it was about $10 extra for each bill, gas, water, and electricity. You should also calculate a percentage of your mortgage or rent into this total because you are putting wear and tear on your home and using its space to run a business. If you are actually paying for a space to bake in, then the entire total of all the bills and rent goes here. 6. Keep track of your mileage and estimate the cost of gas when you go to the store and deliver. Even if you have “free delivery” the cost should be covered by your clients. Maybe free delivery is only feasible for orders over $200 or maybe only within 1 mile? If you know your costs, you will know when your money is disappearing. A great resource for estimating your fuel cost if you are in the U.S. is https://www.fueleconomy.gov/trip/. You will be surprised at how much time and gas you spend driving around for your clients. 7. How much time do you spend talking with a client and preparing quotes? If it’s a considerable amount like for wedding cake sketches, that should be factored into your costs. Round time up to the 1/2 hours. Don’t calculate down to the minute. Some people only calculate consultation time for custom clients or large orders where considerable planning is involved. 8. Do you pay for advertisements or business marketing materials? 9. 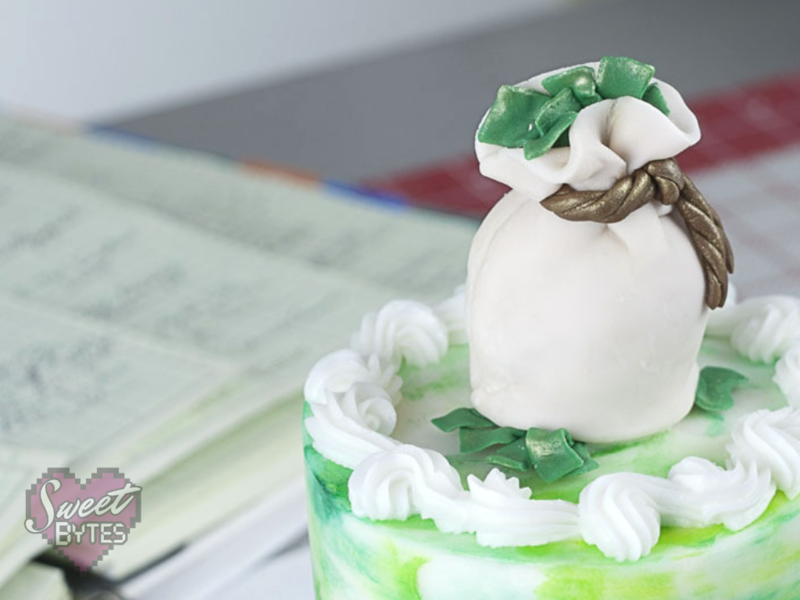 Did you make an investment to start your bakery business? Did you buy special equipment or tools? These costs need to be paid back. If you invested $1,000 to start, how long are you going to need to pay yourself back? This won’t be added to your total per month, but it will help you estimate how much you really need to sell to make this business worthwhile. If you aren’t going to be able to pay yourself back for 10 years at the rate you are operating now, then you are going to have to plan a way to get more cash coming in so that you are making a profit sooner. It’s easy to just let things slide or think they are just your cost of doing business. The problem with that thinking is that you are not operating as a business if the clients aren’t paying to for the business. Not only that, but you will soon be OUT of business. Now you take these numbers and use them to get your bakery pricing right. Hop over to my article, How to Charge for Desserts, to get the exact method I use for pricing my desserts. I know it’s not easy to start and successfully run a bakery. You need support from people who want you to succeed. I have learned so much from the Bluprint team. They produce great courses, including bakery business, baking and decorating classes all taught by leaders in their industry. With what you learn, Bluprint will pay for itself many, many times over. I look forward to hearing from you. Did this article help? Did it leave you with more questions? Leave a comment and let me know! Also feel free to drop me a line anytime and I will do my best to respond ASAP. If you’d like to stay in touch, I’d like that too! Sign up for Delicious News and I’ll send you a newsletter when I have something great to tell you, no more than once a week, promise! Do I Need My Own Recipes to Start a Bakery?